Waterproof Insulated Cooler Totes only $3.11 + Free Shipping! Home / Deals / Online Deals / Amazon Deals / Waterproof Insulated Cooler Totes only $3.11 + Free Shipping! One of my favorite items for summer is on sale today! Check out these GREAT Waterproof Insulated Cooler Totes that are AWESOME for the beach and pool or to take with you to baseball games or any outdoor event during the hot summer! These Insulated Cooler Bags are perfect for keeping your drinks cold so you don’t have to buy any when you are vacationing! LOVE that! 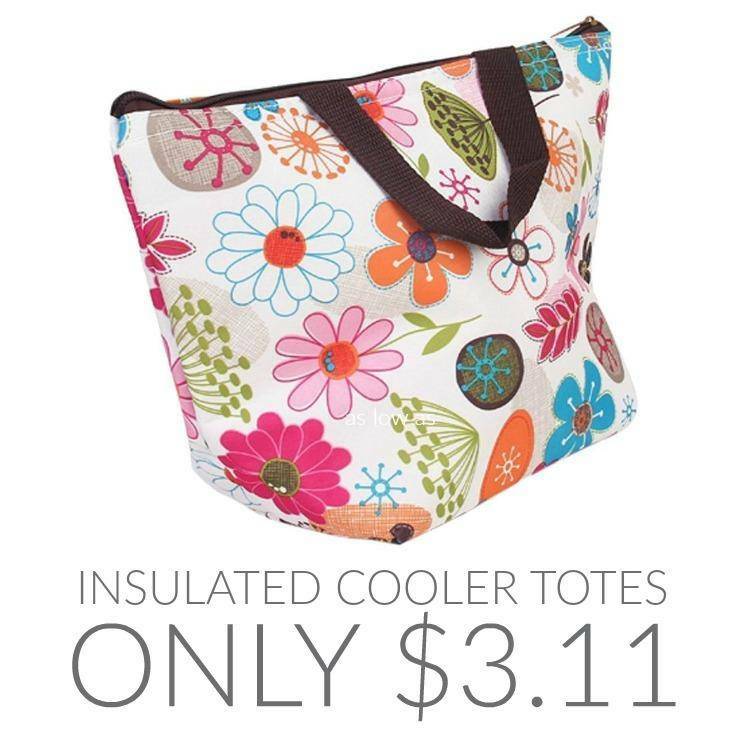 This Insulated Tote is only $3.22 right now if you like this print better! I also see this cute geometric print Cooler Tote for just $3.41 + Free Shipping! And check out the great Vera Bradley Bags Sale, too! Pepperidge Farm Goldfish Snack Packs $0.20 Per Individual Bag!